An aromatherapy oil diffuser can be a useful tool for infusing the scent of essential oils into a room. There may be many reasons for employing essential oils, from simply wanting to make a room smell better to getting actual therapeutic benefits such as stress relief. A diffuser is the quickest and easiest way to make use of essential oils, but not all diffusers are created equal and it is important that you understand the difference so that you can get the most out of your aromatherapy experience. Generally speaking, diffusers come in several types, based on the specific method of diffusing: atomizers, ultrasonic vaporizers, heat diffusers, fans and evaporative diffusers. The type of diffuser you choose will depend on the particular benefit you want to get from it. Any of these types of diffuser can be used simply to distribute the scent of the essential oil but only the atomizer or nebulizer variety can really be used for therapeutic reasons. If you want to understand the difference between one aromatherapy oil diffuser and another, it is important to understand that simply smelling an essential oil is not the same as actually getting healing benefits from it. In order to provide healing, the scent of the oil must permeate the brain, where it enters the limbic system, the area that controls your emotions and sense of well-being. Not every type of diffuser can allow for this effect. Ultrasonic vaporizers use water to help with diffusing. As ultrasonic sound waves cause vibration in the water, the essential oils are dispersed into the atmosphere. But since combining the essentials oils with water has a diluting effect, the healing power of the oils is diminished. These diffusers can provide a pleasing scent and helpful humidification to a room but they won't do much to improve your health. Likewise, an aromatherapy diffuser that uses heat or a fan to disperse essential oils will also not be ideal in terms of therapeutic value. Heat based diffusers actually change the chemical composition of the oils as they heat them, which can negate their therapeutic benefits. 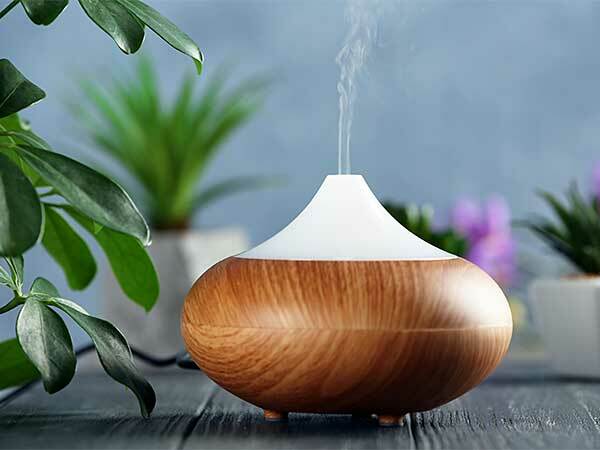 Diffusers that use a fan to pass air over a wick or absorbent pad don't change the chemical composition of the oils, but they do tend to have a very limited range and therefore are not as effective for therapeutic purposes. Evaporative diffusers are any type of surface, fabric, etc. that can be dabbed with essential oil. The oil is then able to naturally evaporate and is released into the atmosphere this way. This can be effective for personal use or when on the go but is generally not the best choice for therapeutic reasons. Only an atomizer or nebulizer, which uses a cool air jet pump to release essential oil molecules into the air, can provide the maximum healing benefits as it is the only type of diffuser that does not alter the oils in any way. If you want to take advantage of the natural healing properties of essential oil, then choosing the right aromatherapy oil diffuser is the first step. Once you have made your choice, you can decide which oil to use for your particular needs and begin to enjoy its therapeutic benefits. Combining the use of a diffuser with other relaxation techniques such as low lighting, gentle music and deep breathing or yoga can enhance the experience even more. With the right tools in hand, you'll be able to luxuriate in the calming, relaxing and healing benefits of essential oils and your body will feel the difference!